Ciao Divas! How are things with you all? I have been so busy with life that my reviews have slowed down. Did you guys miss me? I sure did miss writing here! I am writing about VLCC Daily Protect Anti Pollution Face Wash today which I received from my Diva Likes haul. I haven't used VLCC facewashes at all and this is my first experience. Honestly, even I did not know what to expect out of this one. However being a beauty geek, one extra face wash never hurts. Read on to know if the face wash turned out to be perfect for me or not. Cleans impurities without drying, to leave the skin fresh and hydrated. 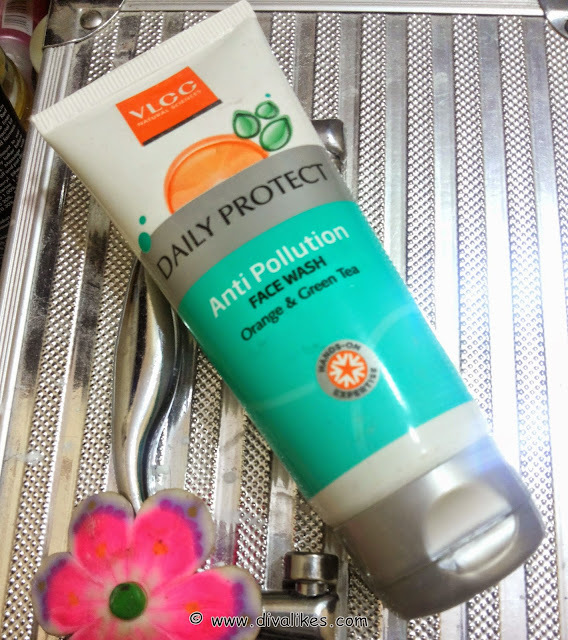 It prepares the skin to brave the pollution throughout the day. 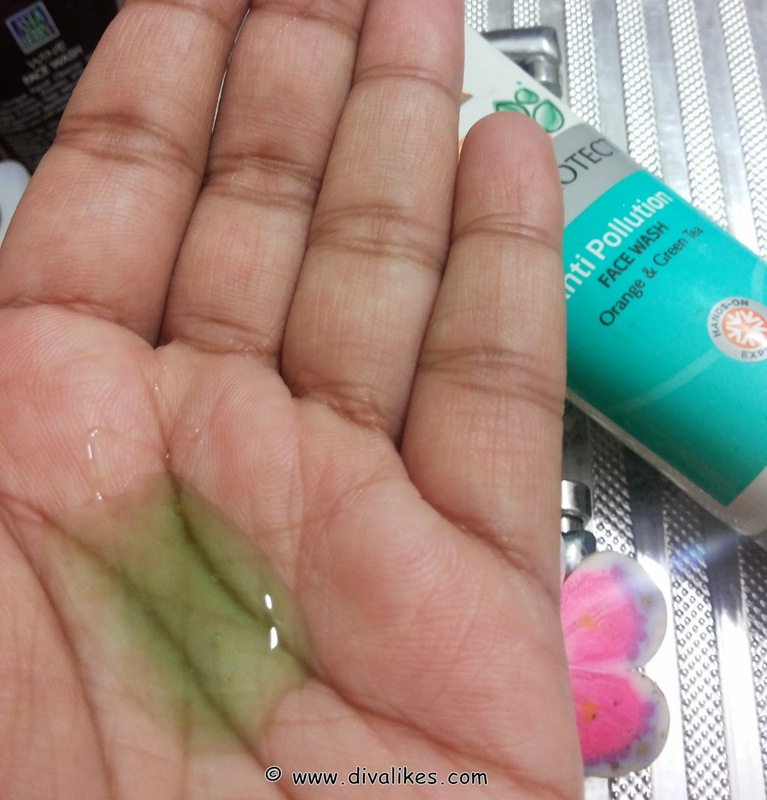 Squeeze a small amount on wet palm and apply on face, work up a lather and gently massage in with fingertips. Rinse off and pat dry gently. VLCC Daily Protect Anti Pollution Face Wash comes in an opaque white tube with a grey flip cap. The content inside is an aqua blue color gel based face wash with a slight runny texture. The aroma of the face wash is very different and is almost like a stale fruit. I am someone who loves beautifully fragrant face washes and prefer them all the time. When I used this one, I simply hated it due to its smell. This is a total turn off for yummy smelling face wash lovers like me. The product is well dispensed while it is squeezed out. In order to form a good lather, more quantity of this face wash is required. Lot of water was needed to get the face wash off my face. Even after washing it off, the smell lingers in hands for some time. Also, I did not find it effective on moderately oily skin. 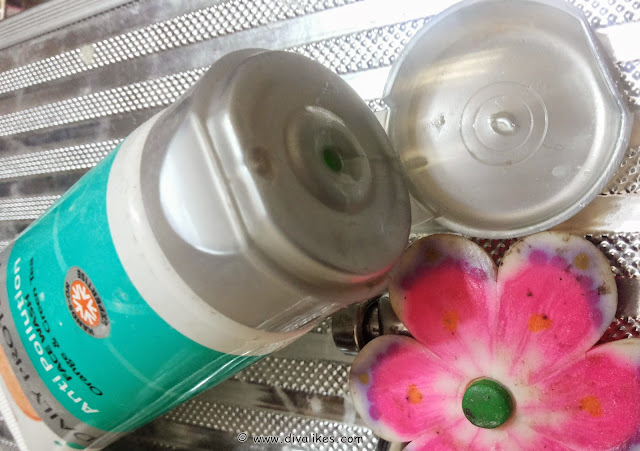 It did not help me to wash oil traces off my face. I got a slippery feeling after washing my face. 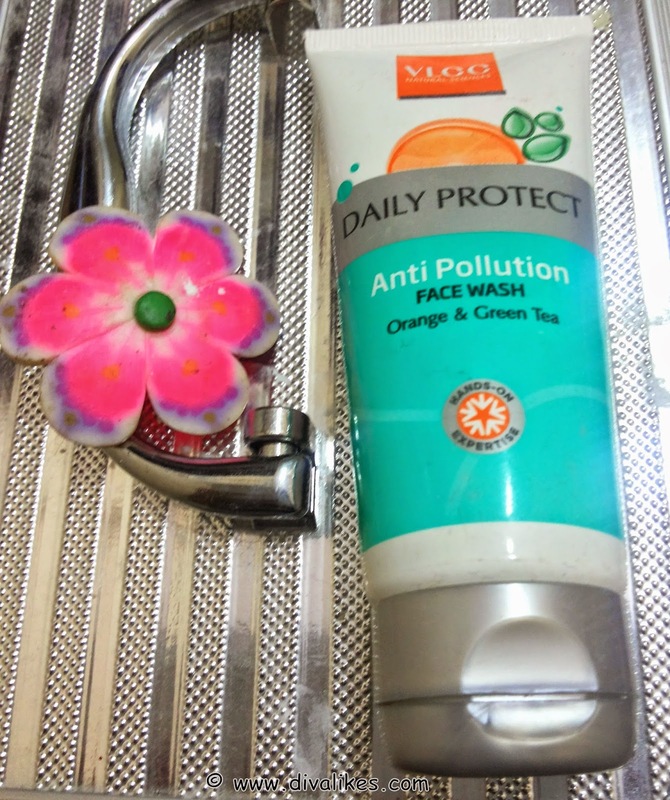 I could not see any pollution defense properties as I never got that fresh look after using this face wash. I noticed tiny acne appeared on my face after using it. The only thing inviting about it was the beautiful aqua blue color of the face wash and its travel-friendly packaging. It definitely did not make it to my repeat buy list. The color of face wash is beautiful. Does not work on moderately oily skin. Gives slippery feel after washing the face. Requires lot of water to wash off. I did not like this face wash at all. It is a total thumbs down from my side. I won't advice it to anyone. 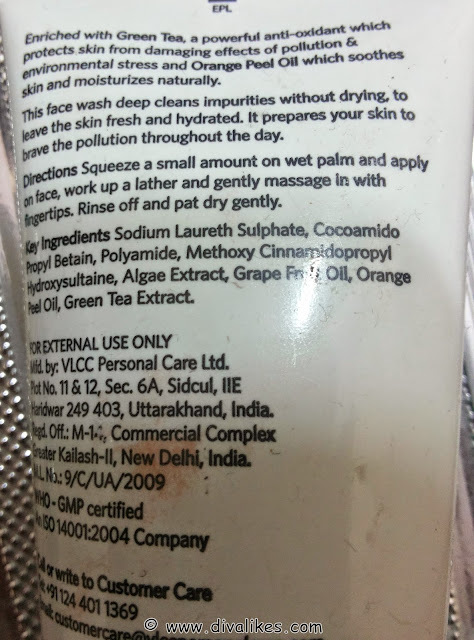 I can never use such bad smelling face washes....too bad a product from VLCC! 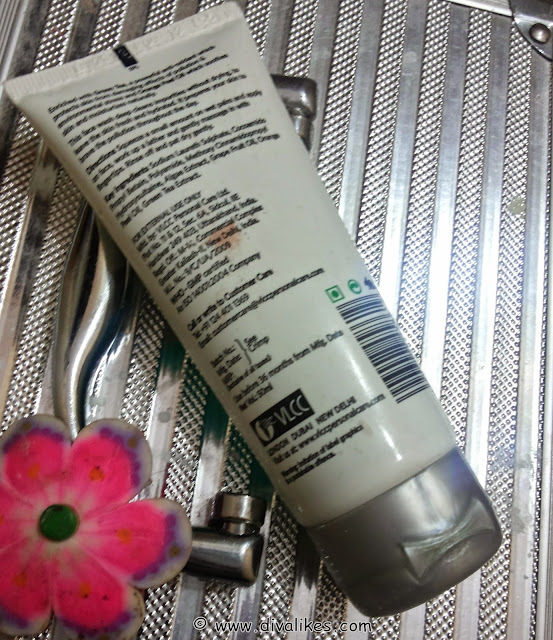 Yup.. worst face wash used by me till date..